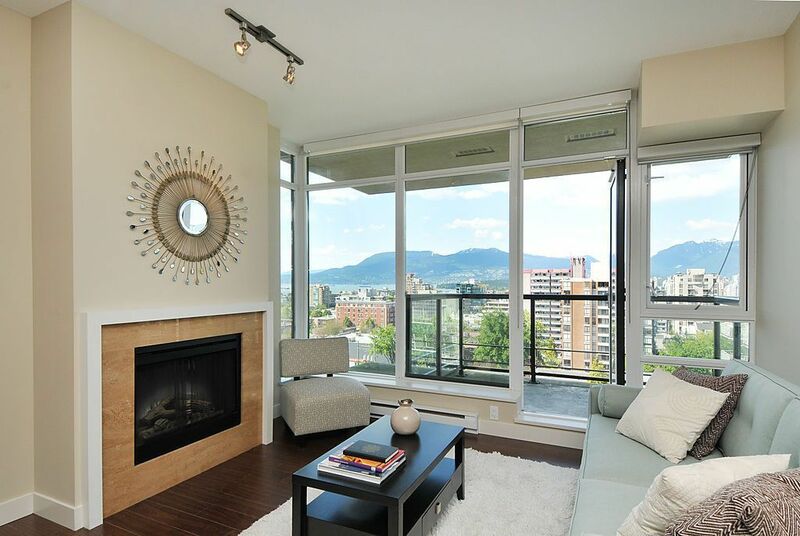 Unobstructed VIEWS from EVERY ROOM facing NORTH OVER THE CITY, mountains & OCEAN! AVEDONE BY POLYGON is an exquisite high end upscale bldg in desirable South Granville walking distance to restaurants, shopping, theatres, art galleries &transit. Smart layout with only 4 units/floor makes this corner 2 bedroom home perfect featuring 9' ceilings, open entertainment style kitchen, white marble shower, BRAND NEW walnut flooring & paint. Move in now & enjoy a peace of mind with balance of home warranty & live in caretaker. This is a must see both night & day as the views are spectacular! Pets welcomed!